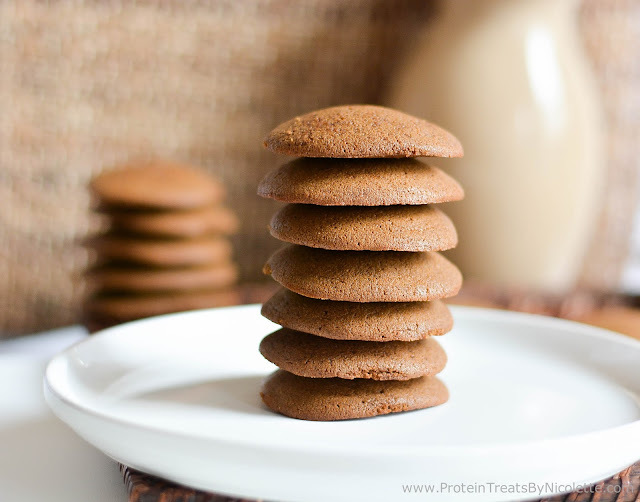 These fun cookies are jam packed with yummy and healthy whey protein! 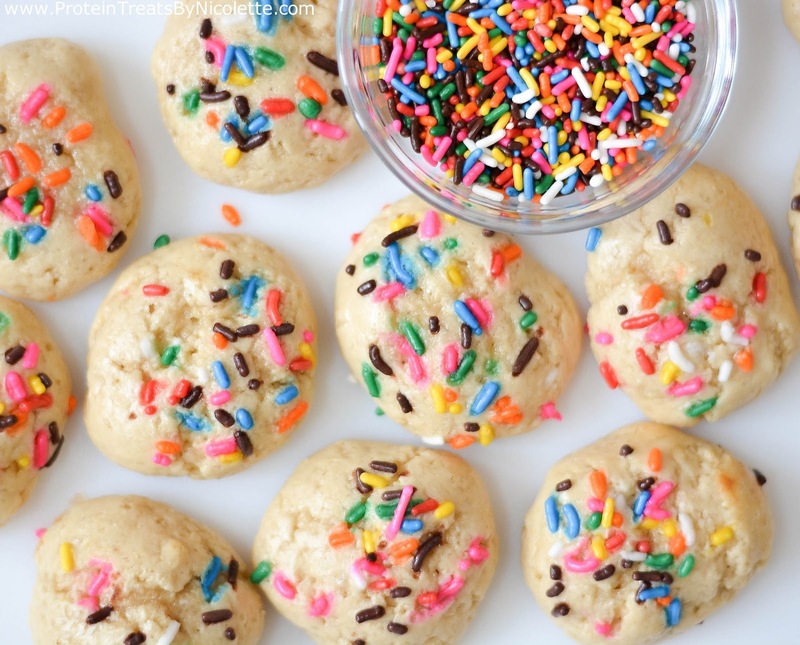 Although the sprinkles are optional, just go ahead and add them....trust me. 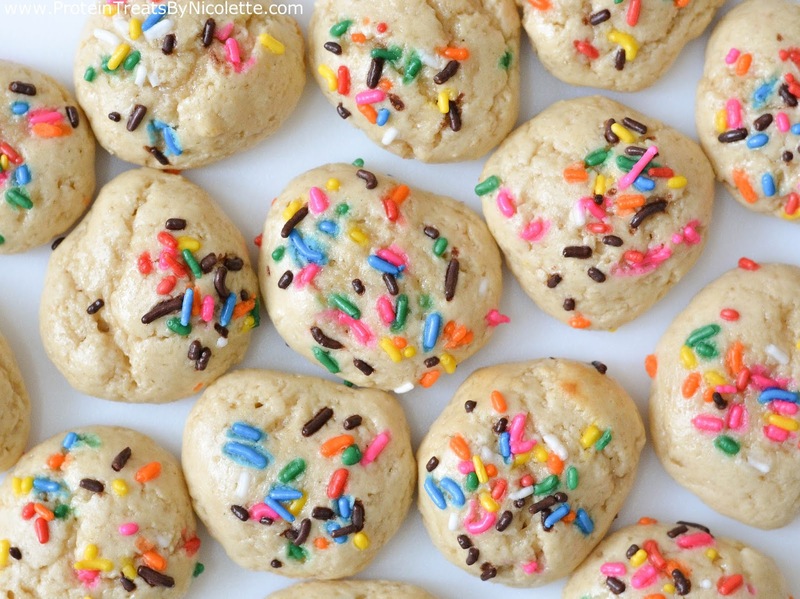 And have a party :) These cookies only have 1g of sugar - but you'd never know it. Enjoy! 1. Preheat the oven to 350 degrees F and line a sheet pan with parchment paper. 2. Add cashew butter, greek yogurt, egg whites, and extracts to a mixing bowl and whisk together. 3. Add protein powder, oat flour, xylitol, baking powder, and salt to the same mixing bowl and stir mixture together until well combined. 4. Spoon about 1 tablespoon of cookie dough onto sheet pan until 16 cookies are made. Top with sprinkles, if desired. 5. Bake in the oven for 8-10 minutes. Let cool and enjoy! 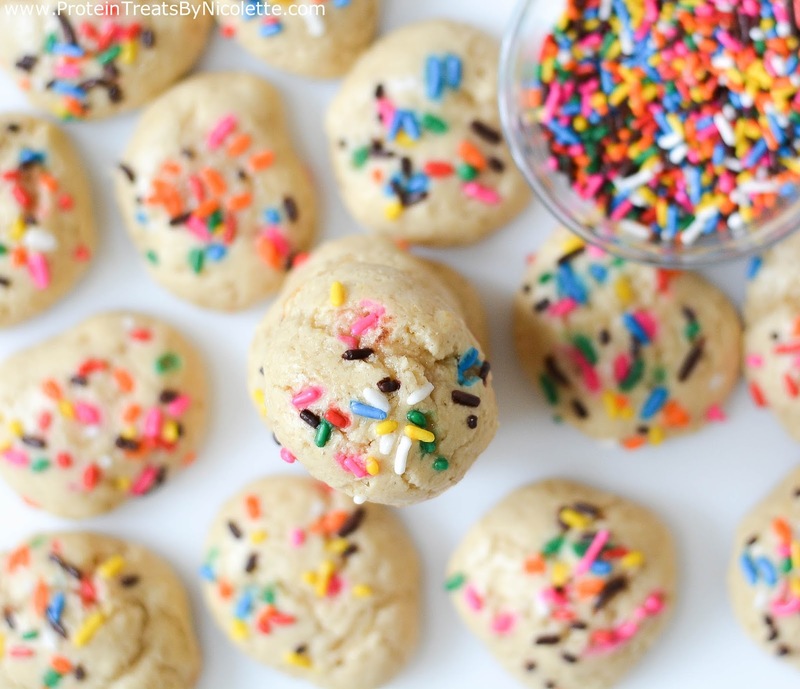 * Use a mini ice-cream scooper to drop cookie dough onto the sheet pan before baking. This helps ensure each cookie is the same size. 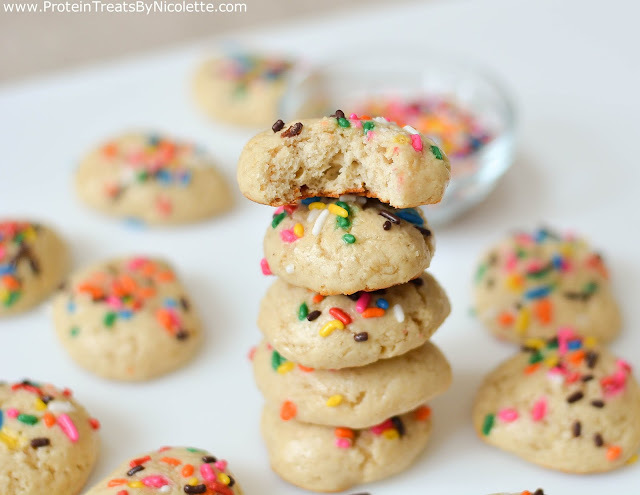 * You can substitute cashew butter with almond butter or unsalted tahini.